Some community advocates see their plans for a cultural corridor in the Hill District of Pittsburgh slipping away. Allegheny County officials celebrated the opening of a new STD clinic at the Hill House Blakey Program Center on Wylie Avenue on Feb. 14. And five days later, the city’s Zoning Board of Adjustment issued a decision that allows the nonprofit corporation Gaudenzia to build a three-story drug and alcohol rehabilitation facility a few blocks away. It would join three other treatment centers already established along and near the Centre Avenue stretch envisioned to one day hold retail, restaurants and nightlife. The Hill Community Development Corporation [CDC] has been leading the fight against granting Gaudenzia another prime location — both to preserve the potential for an African-American cultural epicenter and to protest that Gaudenzia primarily treats outsiders and not Hill residents, according to Hill CDC President Marimba Milliones. 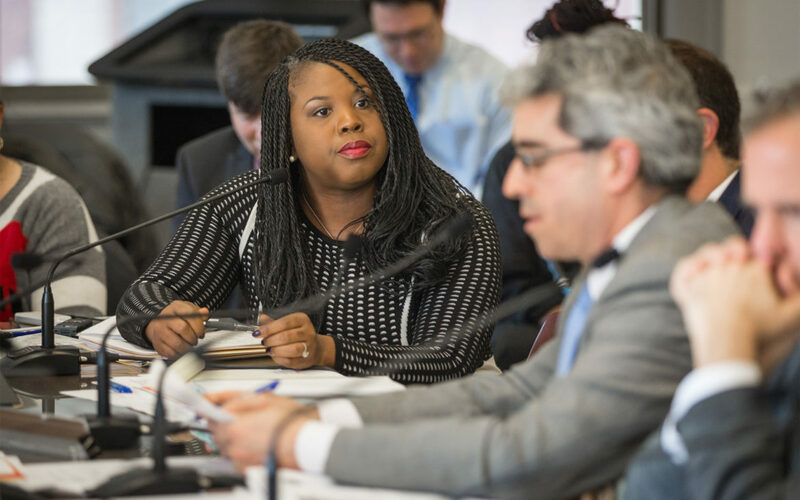 Despite the CDC’s involvement at public meetings, and years spent on a master neighborhood plan, the Hill CDC and involved residents say they were blindsided by the recent developments. At the request of the Hill CDC, Mayor Bill Peduto has agreed to convene a meeting with the group and Gaudenzia to see if they can reach an amicable solution. The Hill CDC is hoping to find a new location for the facility. Gaudenzia did not respond to a request for comment as of publication time. The Hill CDC can also appeal the zoning board decision within 30 days. The board also acknowledges in its decision that the city has “endorsed” the Hill CDC’s master plan for development, but says the city has not formally “adopted” it. Carl Redwood, board chair of the Hill District Consensus Group, told PublicSource that he supports Gaudenzia’s proposed project and doesn’t object to the STD clinic either. The countywide STD and HIV/AIDS clinic used to be in Oakland at 3441 Forbes Ave.
“The clinic in Oakland had been located in a building that was well past its useful life and was no longer worthy of our employees or its clients,” County Executive Rich Fitzgerald said in a Feb. 14 news release. The county plans to sell the property to the University of Pittsburgh and has entered a $120,000 annual lease with the Hill House for the new clinic location, according to health department spokesman Ryan Scarpino. A 2016 report provided by the health department shows chlamydia and gonorrhea occurrences among men in Allegheny County have increased, though syphilis has generally decreased. The report did not break down reported cases by neighborhoods or zip codes. “Our focus was and is on how to best serve the needs of the patients and the clinic serving them. Working with the Hill House Association, we believe that we accomplished that ..."
“As soon as we had confirmation of the move, it was announced at County Council meetings and in a subsequent press release,” Hacker wrote. Scarpino confirmed that a Feb. 8 press release was the first notification to the public about the clinic. The Hill House Association referred PublicSource to the health department for comment. The Hill House Association provides various social services related to early learning and child development, youth services, family and workforce development, senior services and neighborhood services. 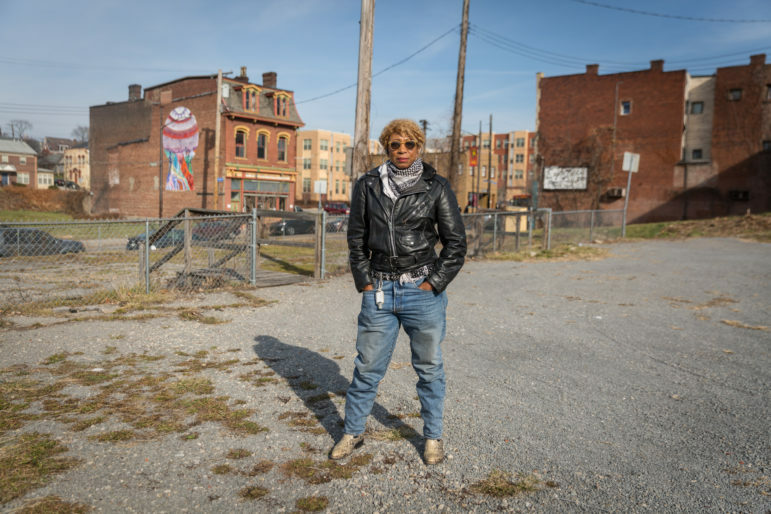 Gaudenzia currently has five addresses in the Hill’s proposed cultural hub, at least two of which are vacant lots. The recent decision grants a special variance exception for Gaudenzia to operate a rehab facility that can house 15 residents at 420 Grove St.
At a March 1 ‘meet and greet’ hosted by the URA, some Hill residents used the public comment section to speak up about the Gaudenzia ruling. Brenda Tate, a retired police officer who lives in the Hill District, asked about the URA’s involvement in the Gaudenzia and clinic developments. URA officials at the meeting and through an email to PublicSource said the authority is not involved in the projects. 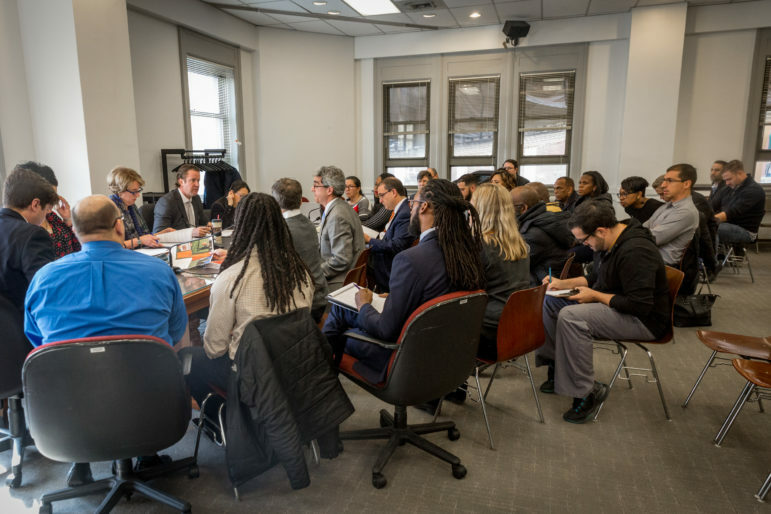 At the meeting, Milliones addressed URA Executive Director Robert Rubenstein about its involvement with Gaudenzia on this project and other plans the corporation has proposed to build affordable housing and possibly a daycare and recreation center. There’s history behind that comment. Civil rights activist established the House of Crossroads rehab center in the Hill District about 50 years ago. It wasn't until 2012 that Gaudenzia purchased the facility and took over management there. Milliones and several community members requested more communication and clarity from the URA and asked several times who their contact person should be. Councilman R. Daniel Lavelle offered to be the community liaison. The Hill CDC considered Gaudenzia’s proposal even before the city did, and the project failed its review process. In a letter to Gaudenzia citing why they failed, the Hill CDC stated there are better uses of the land in line with the community’s master plan. The CDC states that it offered Gaudenzia five other locations that would be a better fit because the land is not in the envisioned cultural hub. The neighborhood plan featuring this cultural center was a 2016 American Institute of Architects Pittsburgh Award Winner. 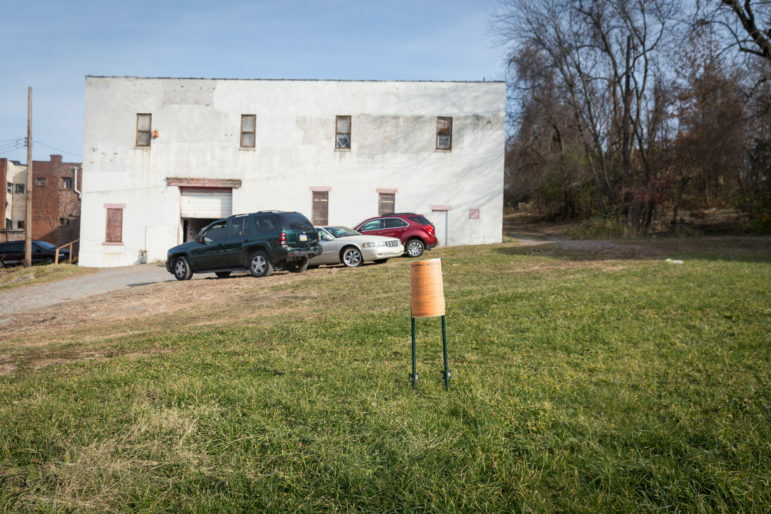 When Gaudenzia took its proposal to the city zoning board despite the Hill CDC’s disapproval, Hill CDC staff and some residents spoke at a Nov. 30 hearing about their opposition. Milliones talked about Gaudenzia clientele being shipped in from the suburbs and said people from the Hill District aren’t being treated there. Gaudenzia representatives have said it operates as a self-referral program, meaning clients have to sign up or “want” treatment. According to the zoning board decision, an objector — in this case, the Hill CDC — would need to show the facility would detrimentally impact the community. Gaudenzia’s conclusions of law included reference to the Fair Housing Amendments Act (FHA), which forbids discrimination against individuals with a disability and applies to people seeking drug and alcohol treatment. Gaudenzia also included language from passed proposals or appeals to the city that argued one “cannot simply speculate but must raise specific issues” about how a project would substantially affect the public. The board concluded that Gaudenzia provided “sufficient, substantial and credible evidence to demonstrate compliance” with codes regarding community homes. This story was fact-checked by Jordana Rosenfeld.